Opposition leader MK Shelly Yachimovich (Labor) was released today from Ichilov Hospital in Tel Aviv. "Thank you to all those who care and send wishes so much; it'll take me a long time to answer you all," wrote Yechimovich on Twitter, "I was released from the hospital and everything's fine." Yechimovich arrived at the hospital this morning after feeling ill. "I'm going through a series of tests and feeling a lot better," the Knesset Member tweeted from her hospital bed. 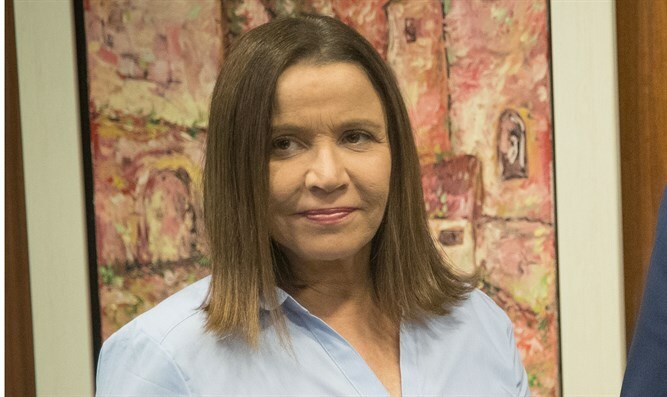 Yechimovich, 58, was appointed opposition chair following the "Zionist Union" implosion. Labor Party Chairman Avi Gabbay said "I am proud of Shelly, an excellent MK who leads determined struggles in the Knesset and beyond. Shelly is an example of public service committed to change. "In the past she acted with determination and to the best of her ability as opposition chair. We're ready for elections and for victory," Gabbay added.